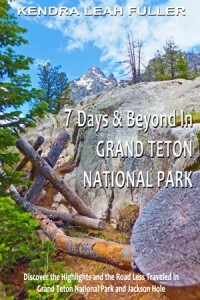 Springtime in Grand Teton National Park is glorious as the mountains and wildlife emerge from their winter hibernation. 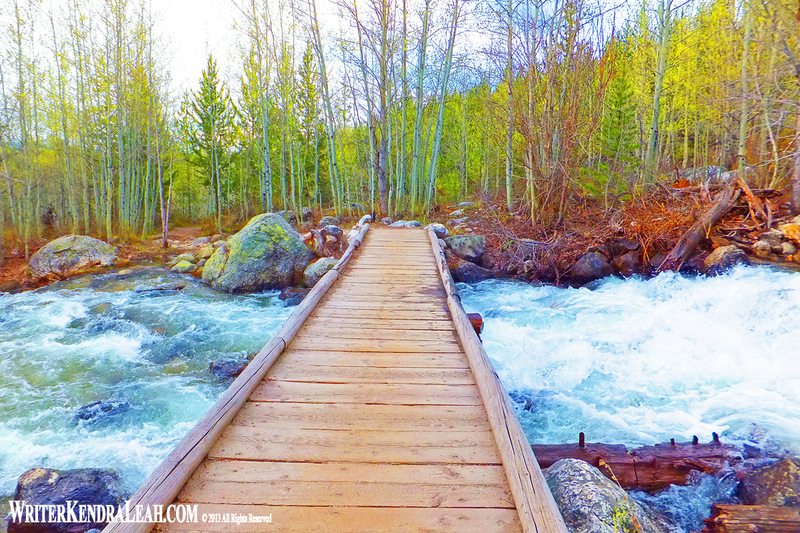 Mountain and valley streams and rivers are running full with the snow melt. Newborn leaves shimmer in brilliant contrast to their still exposed branches. When most of us think of spring, we think March, April, and May. 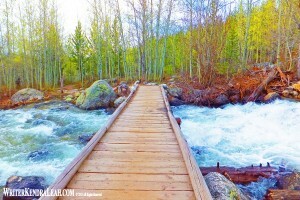 Spring in Grand Teton National Park does not follow the norm. For the most part it emerges at some point in May and lasts into June. Pronghorn antelope migrate back into the valley and bull elk can be spotted with new antlers in velvet.The elk herd is beginning its migration north after wintering on the National Elk Refuge near Jackson. Some will migrate as far north as Yellowstone National Park. Every spring since 1968, the Boy Scouts of America harvest the shed elk antlers from the Elk Refuge for the Boy Scout Antler Auction. Proceeds from the auction go towards maintaining and improving the Elk Refuge. Mama moose can be spotted with her calves. Black bears and grizzly bears bring their cubs down to the meadows and clearings. You should always be weary of bears in the park but this time of year some lower altitude trails may be closed due to increased bear activity. Please heed the warning signs and keep a safe distance from mama grizzly and her cubs. Trumpeter swans, Canada geese, mallards, and common mergansers, are in various stages of nest building, incubating, and hatching their offspring. Oxbow Bend is a good place to catch sight of the trumpeter swans and their young along with other waterfowl and wildlife. Listen for the call of the sandhill crane which is amazingly loud across Jackson Lake. One of the sandhill cranes favorite nesting grounds is in the marshy areas near Jackson Lake. If you want to spot the sandhill crane, spend some time just north of the Jackson Lake Dam, scanning the marshes on both sides of the road. You may even get lucky and see this long-legged bird performing its courtship dance claiming its nesting territory. Cutthroat trout begin moving up the Snake River into the tributary creeks in preparation for spawning in early June. This time of year, the Snake River is running full and fast. The water is muddied with the debris it is carrying from the snow melt. If you are looking to fly fish on the Snake River, you will probably want to wait until early summer giving the river time to settle down and run clear again. After ice out in early spring can be a good time to try your luck fishing from shore on one of the parks beautiful lakes instead. Although you may not be able to enjoy trout fishing on the Snake River this time of year, the high water levels provide for spectacular whitewater rafting south of Jackson through the Grand Canyon of the Snake River. 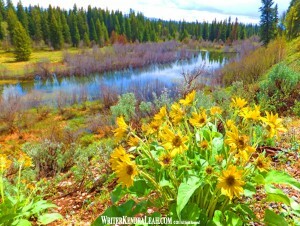 Arrowleaf balsamroot blooming in mid-May overlooking a pond on the Moose-Wilson Road. The ponds along this road are a good place to spot moose. The forest along each side of the road is also prime habitat for black bears. This is a narrow road and it is closed to truckers, trailers, and RVs. Watch out for bikers on this narrow, curvy road. 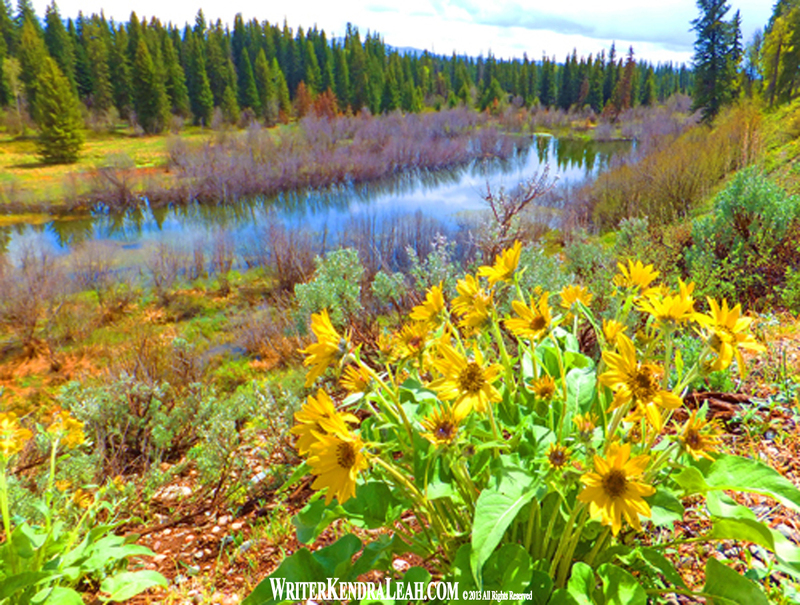 Mountain flowers, like the arrowleaf balsamroot (right), are beginning to bloom on the valley floor and lower elevation meadows. Keep your eyes open for other early bloomers like yellow violets, Nelson’s larkspur, bluebells, Jacob’s ladder, sagebrush buttercup, and biscuitroot while hiking. Hiking in the spring is limited to the lower elevations as this time of year deep snow is still present on the higher elevation trails. Only hikers trained and experienced in self-arrest techniques with a mountain axe should attempt to hike into the higher elevations this time of year. Hikers should also be aware that avalanches can and do occur this time of the year. If you are looking to hike the higher elevations of the park, the trails will not be snow free until at least the second week of July, sometimes later. 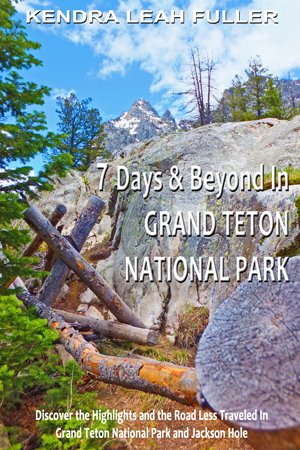 Postpone your trip until August if you are planning on hiking above 9,000 feet so you will not be disappointed. Weather can and does change quickly in the mountains. Make sure you are prepared for inclement weather. You do not want to be caught hours up a trail in shirtsleeves during a blinding snowstorm. 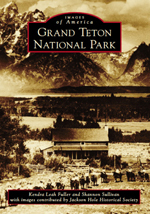 This entry was posted on Saturday, March 22nd, 2014 at 8:40 am	and is filed under Grand Teton National Park, Travel Articles. You can follow any responses to this entry through the RSS 2.0 feed. You can leave a response, or trackback from your own site.